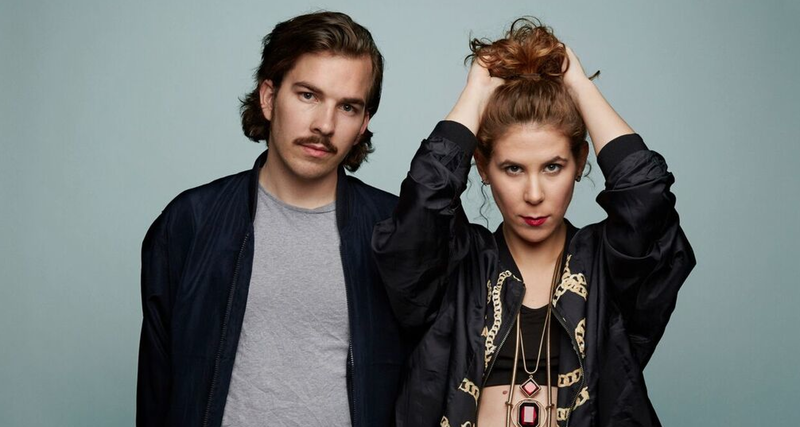 Hot on the heels of their recently released single ‘Give It Away’, Oslo-based electro-pop outfit BLØSH announce their debut album, ‘Keep Bleeding, Keep Breathing’, set to drop on 12th February 2016. Produced by Grammy nominee Øyvind Gundersen, ‘Keep Bleeding, Keep Breathing’ is a polished debut with all the markings of a band on the rise. With influences as wide ranging as Paul Simon, Dirty Projectors, The Dø and The Beatles, whose very own Paul McCartney has voiced his support for Teresa and her unconventional cello playing in the past, the BLØSH fanbase is surely only set to grow. The duo, which comprises Oslo-native guitarist Jørgen Berg Svela and Madrid-born cellist and singer Teresa Bernabé, have been carving out a name for themselves with their infectious sound since the release of their debut single in 2014. And now, with the imminent album release, the band shares a new album’s cut When Love Is Alive – a captivating collaboration with Grammy Award winning singer Siri Nilsen – that spotlights Teresa’s silky vocals. The fluid structure, the ethereal approach, in good contrast with a slightly rough guitar, let emerge vocal’s harmony and melody.